can cost injured victims their livelihood or significantly interfere with their way of life. You may be entitled to recover compensation for pain and suffering, loss of enjoyment of life, permanent disability, present and future medical expenses, property damage, loss of earnings, and permanent disfigurement (scars, amputations, etc.). Your spouse may recover damages for loss of society and companionship and for loss of services. Recovery is based upon the negligent operation of a motor vehicle. 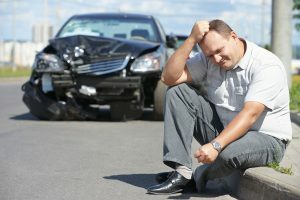 Liability for these injuries often arises from crashes involving drunk driving, speeding, failure to stop for a traffic control device, following too closely, faulty vehicles (blowouts, mechanical failures, etc.) and many other acts of negligence. Lawyers at CHAPMAN, LEWIS & SWAN have extensive experience in helping you and your family deal with automobile accident claims. Our attorneys are experienced at conducting the initial investigation and dealing with the trained, skilled insurance adjusters. It is our goal to obtain the best possible recovery for our clients. We only recover fees and expenses if a settlement is reached or if we are successful at trial.